“As citizens we fund most of the scientific research in Canada, research into cancer, the environment, theoretical physics and more. 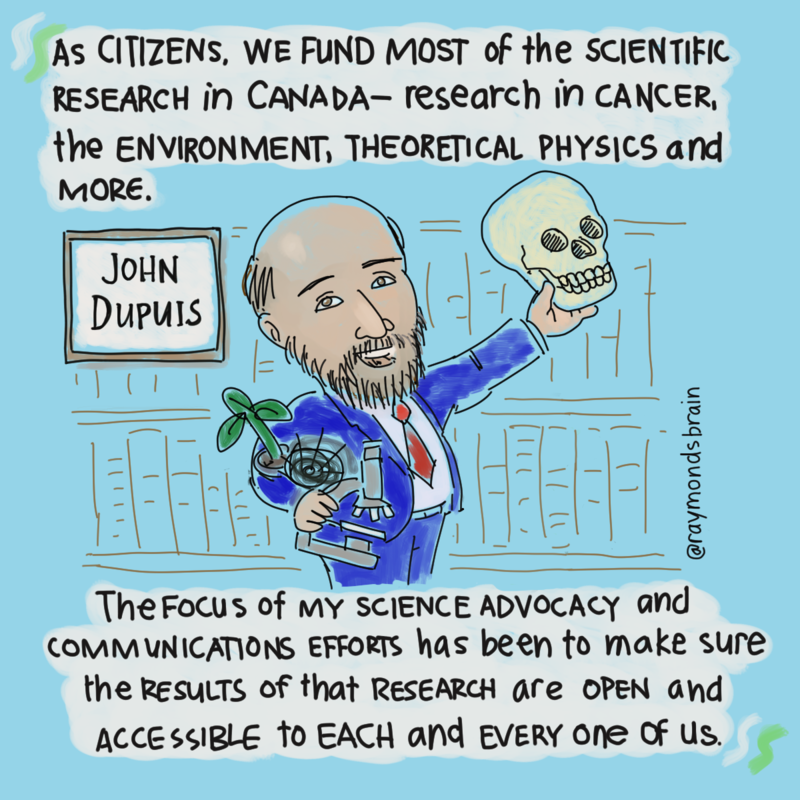 The focus of my science advocacy and communications efforts has been to make sure the results of that research is open accessible to each and every one of us.” – John Dupuis, science librarian at York University. Originally posted on October 8, 2016.